Join us for the most exciting party of the year! Quilt Show (entry guidelines below) - 1st, 2nd & 3rd Place Winners! All participants will receive a gift certificate. Voting begins early this year -- stop in any time Nov. 28 through Dec. 2nd to vote on your favorite quilt. Winner will be announced at 12noon on the 2nd. Must be present to win. Anita's Attic - All Designs Under $50! Baby Lock BL9 Just $129 - Perfect Starter Machine! Hot Cider, Christmas Cookies & Shopping Ideas for Every Sewer on Your List! Plus More!! Follow along at our Facebook event page for up-to-date information! 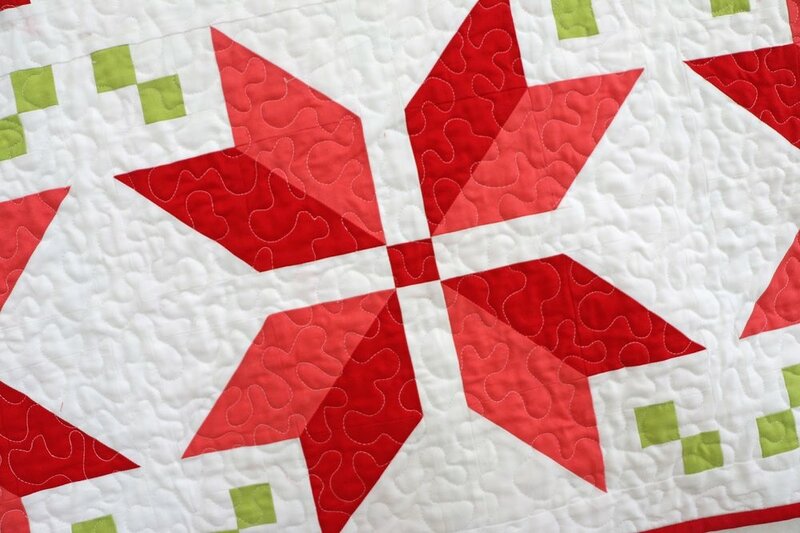 Quilt Show Entry Guidelines: Quilts are being accepted now until Nov. 27th. Any size quilt accepted, Christmas holiday theme required. One entry per person. Must be present at 12noon on Dec. 2nd to win. Voting will take place starting Nov. 28th and end at 11:30am on Dec. 2nd. Voting begins at 10am - Quilt Show Winner Announced at 1pm - Winner must be present to win. Baby Lock BL9 Just $99! Perfect for class & those beginner sewers! 30% off all notions & thread, plus much more! Hot Cider, Christmas Cookies & Shopping Ideas! Follow along at our Facebook event page! Quilt Show Entry Guidelines: Quilts are being accepted until Nov. 26th. Christmas theme preferred but not required. One entry per person. Must be present at 1pm to win. Join B & C and the Days for Girls Yakima Team on Saturday, October 15th as we sew hygiene kits for girls in need. No sewing experience necessary. Bring any or all: sewing machines/sergers, scissors or rotary cutters & mats, iron, ironing board, your friends and your smiles. Bring your own lunch-- drinks and cookies provided.